Android Nougat is slowly being rolled out to most of Samsung's flagship phones (past and present). With both the Galaxy S7 and Galaxy S7 Edge receiving the coveted Nougat update, there were signs that the Galaxy S6, S6 Edge and S6 Edge Plus could be next in line - which proved correct. You might have to wait just a little bit longer though, as roll outs can be slow. The latest news is that an update is arriving now which carries the new June security patch. AT&T has recently announced that both the Galaxy S6 and Galaxy S6 Edge will be receiving an update to Android 7.0 Nougat. The rollout has already begun and is being distributed via OTA, so it may take a couple of days to reach your device. The update weighs in at around 1.3 GB so you will need to ensure you have enough free space to download and install Nougat on your Galaxy S6 or S6 Edge. The latest update includes Samsung Cloud and Samsung Pass, including a number of other fixes and enhancements. AT&T has also confirmed that the update will include the security patch for April as well. The most recent update to hit Galaxy S6 devices brings the June security patch, in addition to some general performance enhancements and bug fixes. The update is hitting unlocked S6 devices in Europe now, but there's no word yet on the S6 Edge. You can expect the update to arrive soon as firmware version G920FXXU5EQFC. On April 1, Verizon announced that it is officially beginning to roll out the Marshmallow update. As usual, the process happend in waves, leaving several users anxious to when and if they would actually get the update. Verizon Wireless released an update for the Galaxy S6 and Galaxy S6 Edge, bringing the devices' software up to version VVRU3BOG5. This marks the eagerly-awaited introduction of Android 5.1.1 on the Verizon Galaxy S6 variant, as well as improvements to the predictive text for the Samsung keyboard. View the full list of changes in the Verizon release notes. 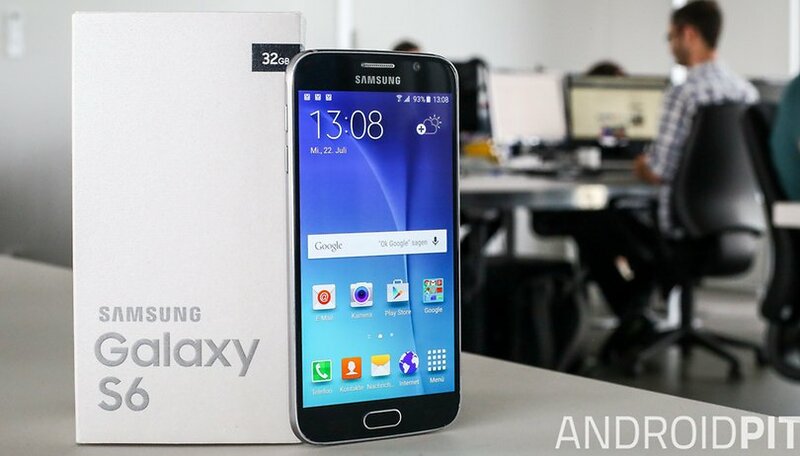 Sprint rolled out Android 5.1.1 to the Samsung Galaxy S6, bringing it up to software version G920PVPU2B0F7. The update comes in at around 563 MB and brings with it some typical bug fixes. Make sure your battery is charged to at least 50 percent before attempting to download and install the update, and check our Android 5.1 features page to see what else is included with the new software version. Got the update about a day ago and it's really bad. A lot of things no longer function properly. Apps shut down for no apparent reason, and 15 minutes ago it freaked out completely and now I can't turn it on. I have updated this software yesterday I hate it. My phone is now completely foreign to me. I have been trying desperately to get the ld software back. My phone is always low on char charge as it drains faster and the keyboard is too slow. A load of crap. Please change back . After the update, I can no longer send/receive picture messages. Can anyone help me with that?? This new update is stupid. My keyboard is slower than I type. They took off one of the reasons I went back to Andorid from IPhone which was the fact they had picture widgets. You can no longer adjust your brightness by just pulling down the top screen. If things don't go back to the options we had before I will be switching back to IPhone when it comes time to renew. Update is horrible. Now my phone doesn't even notify me when I have messages!!!!! Someone help! This new s6 update is trash. Now my speakers on my phone eco whenever i try to play an sounds! Give me back the old software. Terrible update, get half a day battery on nougat vs 2 days with Marshmallow, what BS! Hi Richie, have you tried resetting your phone? These kinds of problems can sadly occur after an update and a reset regularly helps to solve them. I've reset MANY times and have this same problem ... still! I updated my s6 and now it's constantly roaming in places that I had service prior to this update. Does anyone else have this issue? My excellent Samsung Galaxy S7 and Tab S2 have received the 7.0 update but unfortunately my S6 is still on 6.01... I've received 2 OTA updates in the last 2 months for my S6 but unfortunately they were probably security updates as it still on 6.01. I was kinda expecting that it should have been issued by now so I'm slightly disappointed. On the plus side my Excellent S7 & Tab S2 have taken the Nougat update well, and it's a definite improvement. Vodafone UK et alia released nougat today for the S6 and S6 edge devices. I've had the update on my Z5 for over two weeks now wished I'd never updated it continuous rebooting for apps and other niggling things all for no visible or better device performance.Plus one niggle about you androidpit why after commenting and posting the app takes you back to the beggining of the comments aright if there's only two or three but if there's a lot it takes a lot of scrolling back to the beggining to see your post as now i can only see one sentence on screen very annoying? didnt sony stop the nougat rollout for the Z5 as there were some issues with it? Yes they did but resumed it after fixing the problems! I got it after but it's still problematic so wished I'd have waited longer as there's no big difference between nougat and marshmallow. what a shame - have you tried downgrading back to marshmallow? no haven't access to a computer and don't want to complicate things even more the issues i have are not that big an issue really.